"Cosimo is announcing that it is suspending the distribution of the book, Left at East Gate, by Larry Warren and Peter Robbins. 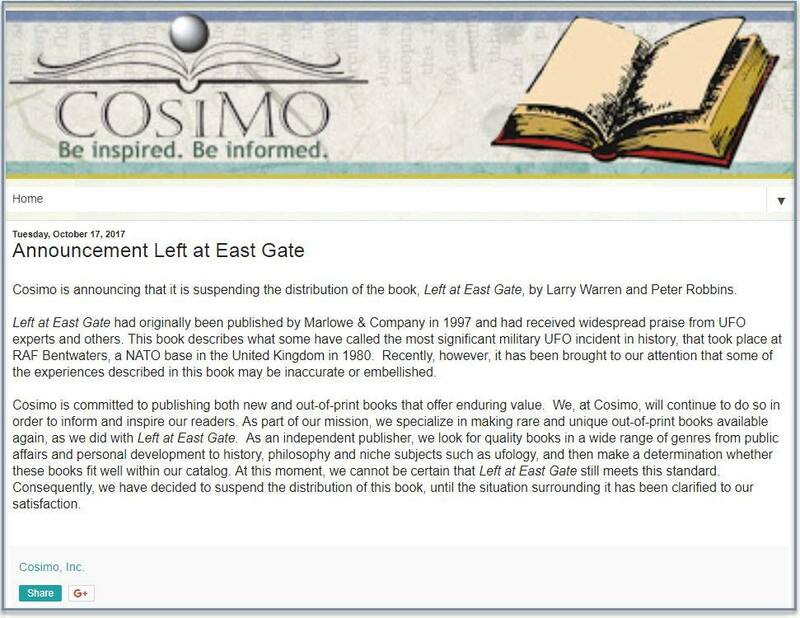 Left at East Gate had originally been published by Marlowe & Company in 1997 and had received widespread praise from UFO experts and others. This book describes what some have called the most significant military UFO incident in history, that took place at RAF Bentwaters, a NATO base in the United Kingdom in 1980. Recently, however, it has been brought to our attention that some of the experiences described in this book may be inaccurate or embellished. Cosimo is committed to publishing both new and out-of-print books that offer enduring value. We, at Cosimo, will continue to do so in order to inform and inspire our readers. As part of our mission, we specialize in making rare and unique out-of-print books available again, as we did with Left at East Gate. 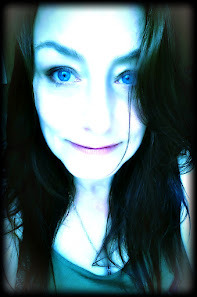 As an independent publisher, we look for quality books in a wide range of genres from public affairs and personal development to history, philosophy and niche subjects such as ufology, and then make a determination whether these books fit well within our catalog. At this moment, we cannot be certain that Left at East Gate still meets this standard. Consequently, we have decided to suspend the distribution of this book, until the situation surrounding it has been clarified to our satisfaction".